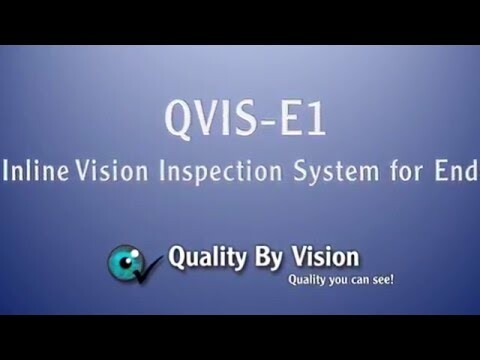 The QVIS-E1 system is a user-friendly machine vision system for 100% inspection of can ends. The system uses a single, high resolution, high speed color camera, advanced optics and illumination components to capture a highly accurate image of the end that reveals all defects. The super-simple QVIS software runs on the familiar Windows 7 or 10 Operating System, allowing users with any level of expertise to easily learn and master the software and control the types of defects and sensitivity level of the inspection. All system components, including the optical system, electrical panel, computer and touchscreen monitor can be housed in a single, compact, floor-mounted unit. For inclined conveyors or tight spaces, the controls can be mounted on an arm. The QVIS-E1 Inline Vision Inspection System for Ends provides a high quality vision inspection system in a convenient, easy to use and affordable package.